When the EPA released its Clean Power Plan last June, clean energy advocates celebrated America’s first serious response to rising carbon emissions. 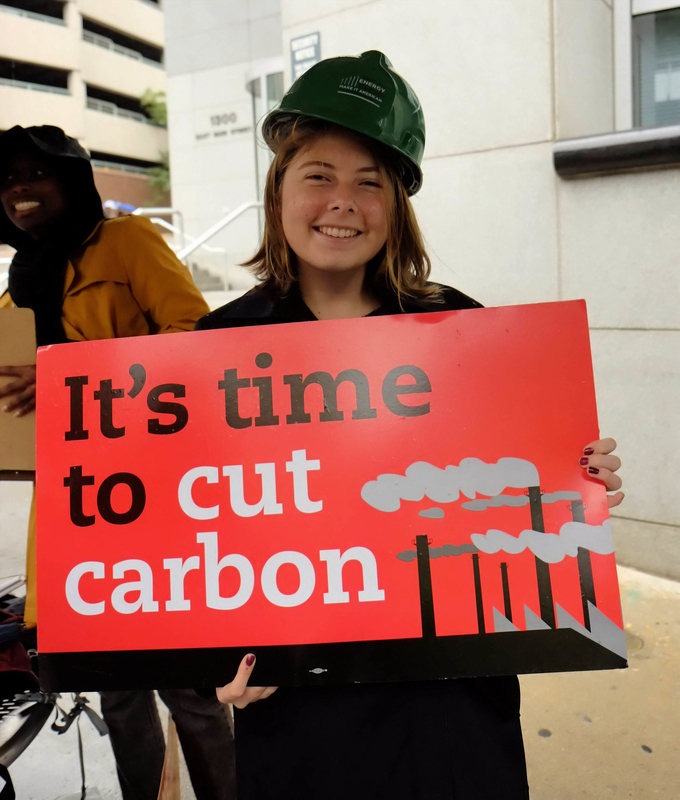 At hearings held across Virginia, supporters of the plan outnumbered opponents by as much as five to one, making it clear the public welcomes EPA’s plan as a way to break the rise in carbon emissions while opening the door to new economic opportunities in solar, wind, and energy efficiency. Alas, the response of most Republican legislators was to man the barricades and protect the fossil fuel status quo. That impulse to panic translated into a spate of bills aimed at rejecting or undermining EPA authority and hobbling the ability of the state to implement the Clean Power Plan. SB 740 (Carrico), SB 1365 (Watkins and Chaffin), and HB 2291 (O’Quinn) instruct the state Department of Environmental Quality (DEQ) to hold hearings and examine witnesses in the development of its compliance plan and take a “least-cost” approach to compliance. DEQ is also required to get approval from the General Assembly for the plan before it can submit it to the EPA for approval—and if either chamber doesn’t like it, DEQ has to do it over again, until the time allowed for state compliance runs out. SB 1202 (Wagner) goes further. Before DEQ can even write its plan, the State Corporation Commission has to find that the EPA has made changes to the Clean Power Plan that fix all the things the SCC staff claim are wrong with it. The SCC staff have already accused the EPA of acting illegally, arbitrarily, and capriciously, so it’s safe to say that under Wagner’s bill, we’ll see pigs fly before DEQ writes a carbon plan. HJ 608 (Kilgore) is a resolution asserting that electricity regulation is a sovereign state function and complaining that EPA is infringing on state turf. The resolution is silly on its face; Virginia’s grid is part of an interstate transmission system (PJM), our utilities operate in multiple states, much of our electricity is generated outside our borders, and all of our generating plants, transmission lines, and everything else associated with providing power in Virginia are covered by federal regulations of one sort or another. HJ 608 has nothing to do with reality. But reality is not the point. The point is that Terry Kilgore and the fossil fuel companies he represents are loaded for bear and want to prove it. SJ 273 (Wagner) directs DEQ to study whether the health benefits of the Clean Power Plan are really any different from those already expected from compliance with other air quality regulations. The reason, according to the bill, is that “if the EPA is claiming the same health benefits under two different sets of regulations, its effort to attribute future pollution reductions to the proposed Plan amounts to ‘double counting.’” If you’re wondering how that is relevant to Virginia’s obligation to comply with the Clean Power Plan, then once again you’re missing the point. This is about posturing, not compliance. SJ 308 (Wagner yet again!) would let the GA’s Joint Rules Committee hire its own counsel to sue the EPA to block the Clean Power Plan if the Attorney General won’t do it. HJ 529 (Bob Marshall) would have a similar effect, though his bill is more of an all-caps version aimed at anything the federal government does that he opposes. Virginia Republicans didn’t invent the attack-challenge-delay approach that is the common theme of these bills. The strategy comes from the American Legislative Exchange Council (ALEC), the conservative “bill mill” heavily funded by fossil fuel interests, and of which Dominion Power is a member. ALEC developed a game plan for state-by-state resistance to the EPA plan. ALEC’s model bill, called the RASP Act, forbids a governor from complying with the EPA regulations without getting approval from the legislature. Sound familiar? And yet it’s a cut-off-your-nose-to-spite-your-face reaction. The longer a state delays, the harder compliance becomes. Delay too long, and EPA writes your plan for you. That’s not a good outcome for either Virginia or the climate. The EPA Clean Power Plan allows multiple pathways to compliance. On of them is the regional compliance plan: states can band together on a market approach to reduce cost and disruption. Several northeastern states already have this cap-and-trade approach in place, known as the Regional Greenhouse Gas Initiative (RGGI). Similar regional efforts exist for some Midwestern and Western states as well. These all predate the Clean Power Plan, but a recent analysis by PJM, the regional transmission operator that runs Virginia’s grid, found that a regional cap-and-trade approach would cost 30% less than a state-by-state approach to meeting carbon regulations. Even many Virginia Republicans have said they favor a regional approach to compliance with the Clean Power Plan, once they have done challenging everything they can about it. One of the attractive elements of RGGI is the market mechanism. Polluters must buy carbon allowances, generating money for the state. HB 2205 (Villanueva) and SB 1428 (McEachin), the Coastal Protection Plan, would have Virginia join RGGI, and use half of the money generated to address the problems created by sea level rise. SB 1323 (Lewis) would merely have DEQ study the idea. For a fuller explanation of the bill, see Dawone Robinson’s guest post here. The Coastal Protection Act is already picking up endorsements, from the Washington Post to the Virginia Housing Coalition and local governments including Norfolk. When Dominion Virginia Power offers to do something to protect ratepayers, watch your wallet. Last year’s act of generosity cost us hundreds of millions of dollars to cover Dominion’s initial expenses for a nuclear plant it may never build. This year it’s a bill, SB 1349 (Wagner), that would freeze rates (but notably not utility bills) until at least 2023. Like last year’s money bill, this one prevents the State Corporation Commission from requiring the utility to refund money to ratepayers and/or lower rates if the utility earns more than the law entitles it to. In other words, it lets Dominion keep the windfall. Senator Wagner presents his bill as a protection for ratepayers in the face of the EPA’s Clean Power Plan, which he claims will be costly for ratepayers. But here’s the thing: Dominion’s obligation to its shareholders is to maximize profit. The company wouldn’t support a rate freeze if it meant losing money. Dominion’s support for Wagner’s bill can only mean the utility expects to make a lot of money at current rates, even under the EPA plan. This makes sense to the clean energy advocates, who point to analyses showing the Clean Power Plan will benefit consumers rather than costing them more. That’s because energy efficiency—a major component of the plan—saves money. If Virginia consumers do save money under the plan, though, the Wagner bill makes sure they won’t see the benefit. Indeed, it doesn’t even protect them from higher bills, because Dominion can still increase other charges that make up customers’ bills. The “rate freeze,” in other words, will set a floor on electric utility bills, but not a ceiling. This entry was posted in climate change, legislation and tagged ALEC, Clean Power Plan, climate change, Coastal Protection Act, Dominion Virginia Power, Frank Wagner, legislation, State Corporation Commission. Bookmark the permalink. Reading Ivy’s blog is like drinking a chocolate milkshake. I save it for after work when I can fully indulge! First and most important, please alert your colleagues, and have them contact their delegates, to SB 1349 (Wagner). The suspension of rate review for Dominion is the worst of privatized profit and socialized risk. As Ivy says, it “…set[s] a floor on electric utility bills, but not a ceiling.” It means Dominion can make whatever investment it wishes and depend on it recovering its costs. CPP and rate review suspension bills – It would be interesting to truly hold SCC/DEQ to a least-cost analysis with North Anna III, with a say, 20-30 year timeline, including insurance and waste. Demand – we need to stay on top of Dominion’s demand assumptions for facility development – demand is flat and has become decoupled from economic activity and population. SB 1202 SCC comments – SCC is not lead on VA’s response so we shouldn’t give them any more attention. SJ273 CPP health benefits – the SCOTUS under Bush confirmed that the CAA has statutory authority to regulate GHGs as a human health and safety issue. GHGs have different effects than ground-level pollutants such as ozone, SOx, and particulate.